not the last Friday of the month! Known to many as one of Canada’s finest singer songwriters, Linda Morrison is also a frequent guest choir director and arranger whose passion for world music has taken her from the Republic of Georgia to the shores of Cape Breton. Though Linda has sung and arranged music from all parts of the world, she has made a special study of the Gaelic songs of Scotland and Ireland and now teaches Scottish Gaelic and leads workshops in Celtic singing. She recently won a gold medal at the North Carolina Mòd and was awarded the Quebec Thistle Council award for Scottish music. Her original songs have been heard on Sesame Street and recorded by such artists as Quartette, Penny Lang and Karen Young as well as by children’s musicians Fred Penner and Sharon, Lois and Bram. 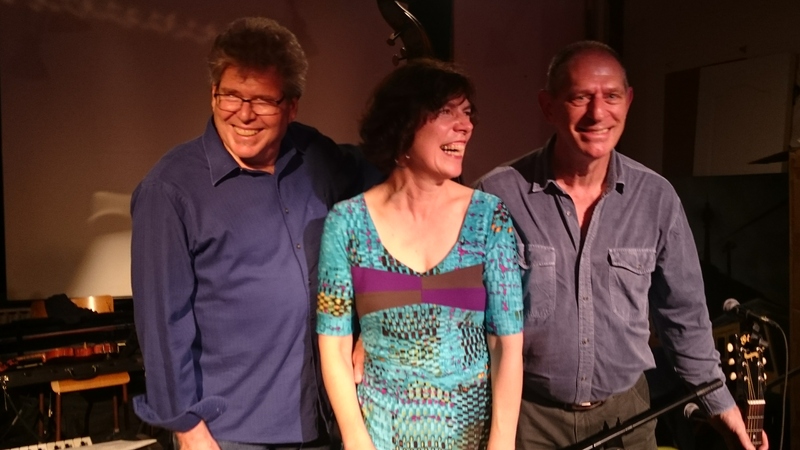 Linda is thrilled to be performing once again at the Ste-Annes Blues Café with her long-time excellent band, Andrew Cowan (guitar) and Bill Gossage (bass). We are a trio who play our unique versions of the tunes that formed the soundtracks of our lives –a blend of rock, folk, soul, pop, a little jazz, blues… Dylan, Beatles, Clapton, Rascals, Louis Armstrong, Ronstadt, Fleetwood Mac, Tom Petty, etc. Come listen to our groove, our luscious harmonies and sweet guitar sounds — you may find your toes tapping, your body swaying and your mind saying — “Wow, I remember that song”! Donna Berry on vocals and percussion, Andrew Cowan on vocals and guitar and Steven Cape on vocals and guitar. Andrew is a seasoned pro whose music has taken him from Dawson to Sao Paulo, and from Kuujjuaq to Hong Kong. He’s a founding member of the Stephen Barry Band, and has been seen for decades accompanying Linda Morrison (and a long list of others). 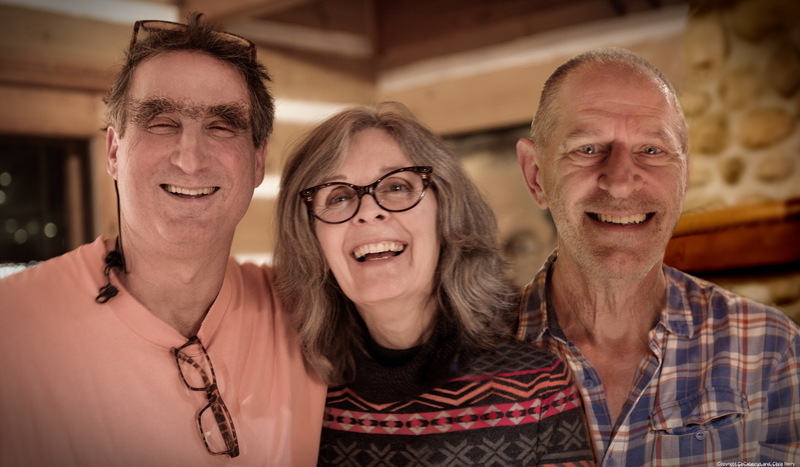 Donna and Steven have performed over the years in different choirs, duos and trios and have been playing music together on and off for almost 40 years. This trio came to life a few years ago in the wilds of Morin Heights, where the mysterious CoCaBerrys grow.